Paperboys and girls symbolize our country's relentless, indefatigable entrepreneurial spirit. They bought, sold, and delivered papers. And they did it alone, often in the dark and cold - and they were kids! 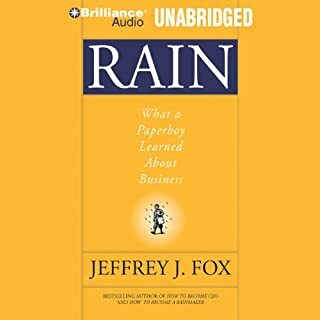 In this witty and wise story, best-selling business author Jeffrey J. Fox reveals why the lessons paperboys learn so often establish them on the early road to success. A US Dept. of Justice survey found that females ages 16-24 are more vulnerable to partner violence than any other group, almost triple the national average. Cases like Chris Brown's assault on pop star Rihanna showed an ugly side of adolescent life. However, Queen Latifah has always been a shining example of a woman happy with herself and unwilling to compromise to fit into the "hollywood ideal" of what a confident beautiful woman should look like. Berger’s surprising findings reveal that even though children start out asking hundreds of questions a day, questioning "falls off a cliff" as kids enter school. In an education and business culture devised to reward rote answers over challenging inquiry, questioning isn’t encouraged - and, in fact, is sometimes barely tolerated. And yet, as Berger shows, the most creative, successful people tend to be expert questioners. They’ve mastered the art of inquiry, raising questions no one else is asking - and finding powerful answers. The author takes us inside red-hot businesses like Google, Netflix, IDEO, and Airbnb to show how questioning is baked into their organizational DNA. He also shares inspiring stories of artists, teachers, entrepreneurs, basement tinkerers, and social activists who changed their lives and the world around them - by starting with a "beautiful question". Why aren’t we nurturing kids’ natural ability to question - and what can parents and schools do about that? Since questioning is a starting point for innovation, how might companies and business leaders begin to encourage and exploit it? And most important, how can each of us reignite that questioning spark - and use inquiry as a powerful means to rethink and reinvent our lives? 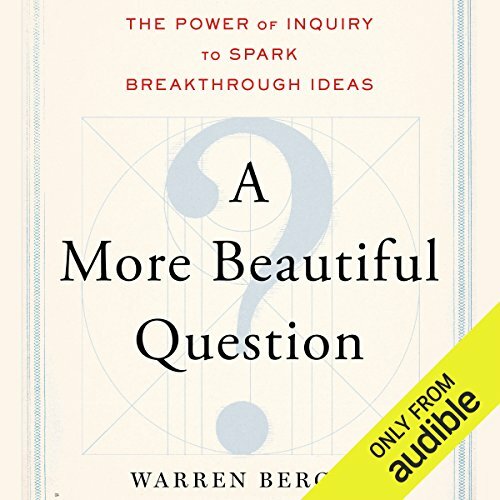 A More Beautiful Question outlines a practical Why/What If/How system of inquiry that can guide you through the process of innovative questioning - helping you find imaginative, powerful answers to your own "beautiful questions". ©2014 Warren Berger (P)2014 Audible, Inc. It was a pleasant listen, although I found myself drifting off sometimes during jogging. But when my mindfulness asserted itself the sound bytes got me re-engaged. Although the core idea is valid I am not sure it justified a full book. A lot of stuff I had already digested elsewhere as the heavily quoted text testifies. Basically to sum up : questions are more interesting than answers so ask lots of them. Use Why, What if, and How and fail forwards ie enjoy the process of failing as you learn more that way. Good advice. 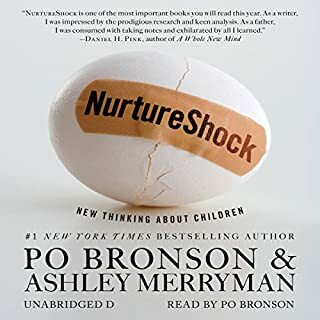 This is one of those audible books I wanted to listen to in one sitting. Well written with interesting stories. I would say it really helped me to question and think more deeply before making any decisions now. It's so easy to think we know the answers but often we are so wrong in our assumptions. This books helps us to take a step back, ask questions and see things from a broader perspective before going forward. A book worth listening to. 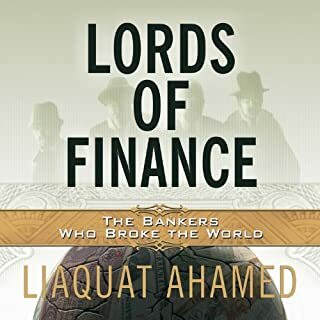 Ever since The Tipping Point came out, there have been hundreds of non-fiction books that purport to describe the secret workings of some phenomenon. Most of these are actually pretty darn good. This book, however, is almost a satire of the Gladwellian approach. The issue is the overarching message – that asking the right questions is the key to success. It's way too broad of an idea to make work. To marshall evidence, the author casts such a wide net as to be useless. Any development from the past century has been repeated and recast as an example of asking the right question. This is correlation without causation. Evidence counts if the protagonists did the thing you are advocating. Not in this case. Instead, the examples are merely *descriptive* – one way to understand these innovators is to look at the questions they were implicitly asking – not *prescriptive* – you should ask questions the way they intentionally did. He should have asked himself, "In what circumstances are questions NOT appropriate?" His answer, it seems, is "never." The resulting advice really is that generic – "ask more questions." And his evidence is even more generic – any example of a successful innovation is shown to come from someone who asked the right questions. A completely useless insight. This book caused me to sit down, create and face my own questions. Absolutely loved it. Has changed my whole perspective and caused me to engage my life rather than drift through it. Would you listen to A More Beautiful Question again? Why? Yes, it really captures the heart of listening and engagement and I need help in this area. The topic isn't hard but Warren Berger makes his case and supports it as well as really demonstrates the power of questions. 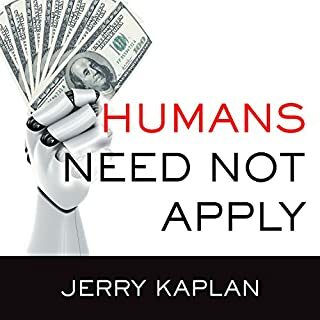 Would like more examples and there were a few areas where I think the book has case studies which I don't think were included in the audio version. Need to figure out a better way to do that since I think it would have added the examples that I wanted. What about Michael Quinlan’s performance did you like? No, too much to digest in one sitting. 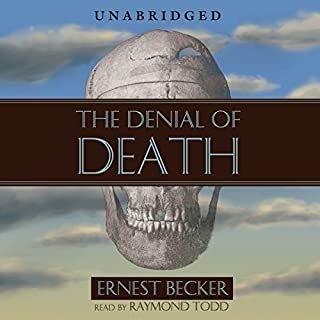 Where does A More Beautiful Question rank among all the audiobooks you’ve listened to so far? Warren Berger is spot on with this book. His research validated all of his points and it reinforces my philosophy with the training I do with my employees on the importance of asking questions. Putting this on repeat listen! This is now one of my favorite books! I loved the content, the examples & the vast sea of great inquiries! I've been listening to a number of books that are based around questions and this one tops the list! Think outside the box?How did we all get in a box? If you have ever felt dumb for asking a question, read this book. You will question why you ever questioned questioning! Berger tells amazing stories, has colorful examples and leaves the reader empowered and curious. Read this, but why should you take my word for it? A great introduction to the power of questions. However, as someone who already uses questions as part of leadership development and innovation processes I wad hoping for some new techniques. Good at the WHY of questions, OK at the WHAT IF of questions, in my mind lacking in the HOW. Love the concept of being better at living with unanswered questions. Challenges me to help my kids to ask better questions. 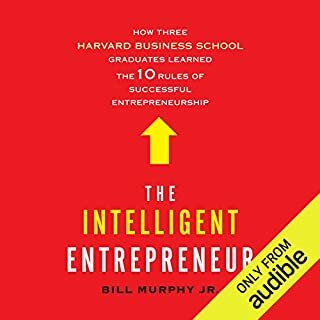 A very worthwhile audiobook to listen to. It really drives home the importance of questions in the current era where there is easy access to an abundance of knowledge and answers. There are some questions raised which are applicable to every person's life and should be pondered about over time. Like a good cup of coffee or wine, these questions need to be savoured and sat with to fully experience it.